At the heart of any modern democracy is the idea that leaders are elected to govern. But with 2018 starting without two European governments in place, the question might be do we actually need politicians? 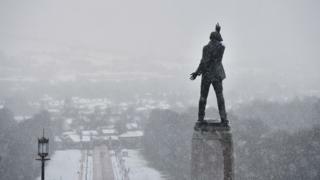 Twelve months ago, Northern Ireland found itself without a government of its own, after deputy first minister Martin McGuinness walked out in a row over a botched energy scheme. The ensuing breakdown in trust between the ruling nationalist and unionist parties shows no sign of being resolved. Given that the support of both camps is required for any new laws to be passed, it means there is little happening at the Stormont Assembly: a budget had to be imposed from London and day-to-day decisions on devolved issues are made by civil servants. Such a situation may seem extraordinary, but the absence of political leadership has not seen public services collapse and people are able to go about their normal, daily business. And, while unusual, Northern Ireland's position is by no means unique - which might cause cynics to question what the point of a government is at all, if we can apparently cope without them so readily. Germany, for example, has not had a new government installed following its inconclusive federal election in late September. Although talks to find a solution started on Sunday, it could still be months before new ministers are in place. In Belgium, a record for the longest period without an elected government in a democracy was set in 2010-11, after wrangling between Flemish and Walloon figures led to a 589-day vacuum. Spain spent the first 10 months of 2016 in a similar position, a hiatus which only ended when the opposition socialists effectively voted to allow the conservatives to form a minority government. It is not difficult to find examples beyond Europe. Somalia had no government to speak of for a 15-year period in the 1990s and 2000s, during which time it was ripped apart by clan militias, pirate gangs and Islamist extremists. And Iraq went without for much of 2010, leading to fears that insurgents could exploit the stalemate as US forces reduced their presence. But what does it mean to be without a government in a well-established state, where the consequences are less profound? In Germany, politics is able to trundle on: ministers can carry on as "acting ministers", an approved budget is in place, regional and local governments - which are responsible for much policy implementation - continue unaffected. The country continues to be represented in the institutions of the European Union. However, there are at least three profoundly negative consequences. First, without proper parliamentary or political scrutiny, there is a risk of unwelcome decisions being "slipped through". Acting agriculture minister, Christian Schmidt, caused surprise when he voted at the EU in favour of allowing the continued use of a controversial pesticide, contrary to agreement between the main parties and without the backing of acting chancellor Angela Merkel. Secondly, the country is simply unable to take big-picture domestic or international decisions. How will the German government respond to French President Emmanuel Macron's ambitious plans for reform of the EU, for example? The answer is we simply don't know, and cannot know, because no government is in place to take a stance. Similarly, Germany cannot introduce domestic reforms - for instance, to handle challenges in its social care sector, or to stimulate housebuilding. Thirdly, this situation means that acting ministers are still responding to decisions taken by the electorate in 2013, instead of reacting to the issues voted upon in 2017. Germany crisis: What are the options? Nonetheless, this situation is not as dramatic as other forms of democratic failure. In the United States, government shutdowns - when Congress and the president fail to agree funding for its operation - occur periodically, and lead to the closure of museums, passports not being issued, and mortgage approvals being delayed. At times of national crisis, countries may also install "technocratic governments" such as that led by Mario Monti in Italy between 2011 and 2013. Experts were appointed, instead of politicians, to take decisions following the collapse of Silvio Berlusconi's government. So, what lessons are there for Northern Ireland? The good news is that there is no reason to believe society will implode. However, Northern Ireland will punch below its weight beyond its own borders. This is especially problematic at a time of Brexit negotiations, particularly for nationalists, as unionists have some influence at Westminster through their agreement to support Theresa May's minority government. Moreover, big picture policy challenges - the quality of NHS services, the skills shortage and meagre economic growth - will simply not be addressed. And decisions may end up being slipped through by civil servants - who have access to 95% of the budget - without proper scrutiny. There is also disquiet because Stormont's politicians are paid for a job they are not doing. There is no doubt that Northern Ireland will survive this political vacuum, with local government also carrying out many tasks and Westminster responsible for matters including national security, international relations and defence. But the risk remains that Westminster will opt to impose direct rule from London long before Belgium's 589-day record is seriously challenged. Dr Ed Turner is Head of Politics and International Relations at Aston University, based in the Aston Centre for Europe.